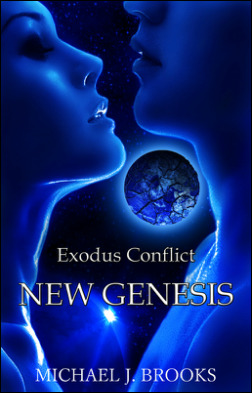 Science Fiction - Independent Sci-fi/Fantasy Author MICHAEL J. BROOKS. For three years, humankind and the Zull race have been battling each other over a new world both races are in need of. Caught in the midst of this conflict is a lone journalist named Alex Mercer who seeks to understand why the war continues, even though the simple solution of "coexistence" could end it tomorrow. While on his adventure, Alex becomes acquainted with an EUF soldier named Andrea Blair, whose cold gray eyes tell a tale of death, sorrow, and hate. Since the final battle on Second Earth, Alex Mercer hasn’t been able to forget about Andrea Blair, and she seems to not be able to forget about him. 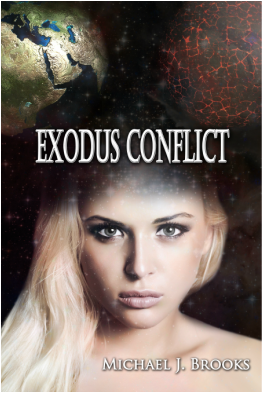 As the war between humanity and the Zull once again erupts, they find themselves reunited, and together they must survive the next stage of the Exodus Conflict.